Just because you’re a service provider doesn’t mean you can’t start your own membership site. In the past I’ve run membership subscriptions for article marketing submission, website creation and writing. If you offer any services, consider offering a limited number of membership slots to your customers. Don’t burn yourself out, because this type of membership does require time spent on each and every customer. I limited my memberships to five members only, and they were always sold out. This kind of membership site should be a win-win for you and your customers. You benefit by having guaranteed orders each month, and your customers benefit by getting a discount when they subscribe. The PLR membership site is my main business model. I usually charge around $1 per article for my PLR packs, so I make sure to offer members a substantial discount. My PLR memberships each revolve around a very specific niche: electronics reviews, fitness product reviews and toy reviews. Customers usually prefer more specific niches so that they can be sure they’ll use the content each month. 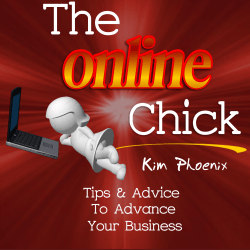 Even if you’re not a traditional PLR provider, don’t write off this kind of membership site! This doesn’t need to involve articles or traditional content. You could provide video templates for beauty bloggers to use in their vlogs, you could provide graphics for self improvement bloggers to edit and post on social media, or you could provide blog maintenance tutorials for web designers to give to their clients. Think outside the box and you’ll see that there are a huge range of products you could provide for your niche! Although membership sites can bring many rewards, one of the biggest downsides is the time they can take to get going. You don’t just need to put time and effort into producing a one off product – you need to do it each and every month. To help make things a little easier, consider starting a fixed term membership site. The idea behind this kind of membership is that you decide, up front, how long you want it to run for. Fixed term memberships usually run for 6-12 months, and members who join will always start at the beginning. This is best suited to evergreen information-based memberships where the contents aren’t constantly changing. Once you’ve created the content for a fixed term membership (and there are shortcuts, like PLR, to help), this kind of membership is less hands-on, and can continue to earn you passive income long after you’ve finished creating it. No matter what niche you’re in, you can probably create a paid newsletter membership site. This simply means that your subscribers pay a regular fee to read premium content that won’t go out on your blog. This usually involves some kind of insider strategies that you’ve never shared before, or extras such as personal support. This kind of membership can be very simple to deliver through an autoresponder service like Aweber. Although there are plenty of free forums out there, people are still more than willing to pay a monthly fee for private communities full of like-minded people. This is an especially good idea if you already have an active subscriber group, and people regularly ask for a place to talk in more depth about the ideas on your blog. You can even incorporate a community into many of the above membership models to add more value and make it more likely that subscribers will stay on. As you can see, membership sites can suit just about any niche, as long as you can think of something that will inspire your target market or help them solve a problem. Ruth Pound has been writing and selling PLR since 2008, and runs two high quality product review PLR membership sites: Toy PLR Monthly and Fitness PLR Monthly. Thanks so much for featuring my guest post Kim – it was fun to push myself to do it as it’s something I haven’t done really! I hope people can get some ideas from this list – there are other ways too if you think outside the box. It’s SO worth setting up a membership site, and even if it doesn’t take off the worst that can happen is that you have to close it and just start a new one. Hi Kim – your blog is looking good. The thought of doing a membership site, while offering recurring income, has always scared me. I just don’t want the responsibility of having to come up with new content every single month. After a few months it just seems like I would start repeating myself. I can see how this would be less likely for something that changes a lot, like Ruth’s electronic gadget membership. I like the fixed term membership model best. I bought Jimmy D. Brown’s course several years ago, and that seems like the most “doable” way to run a membership site. I’ve been buying PLR products to use as a base for a couple of courses that I have planned out. Hi, Joe! Thanks for stopping by! I know which course you’re talking about. I also agree that the fixed-term membership looks like the best way to go. I think it is a great way to provide an educational course, thereby keeping your members from getting overwhelmed. In fact, the way that I learned how to create wordpress websites was by way of a fixed-term membership that I took. Thanks for leaving your comment Joe! I have to admit that’s one of the hardest things about running a membership site. What I did is, before I started, I brainstormed at least 12 topics so I knew I wouldn’t run out of things to write about. Of course, my memberships have been going for longer than 12 months now, but somehow I always think of new ideas. You’re right, though, that electronics is easier since it’s always changing. I also love the idea of a fixed term membership. I can definitely see the benefits of this, because it’s definitely a big commitment running a membership.